Home » Global » Free Ana Belén Montes now! Free Ana Belén Montes now! 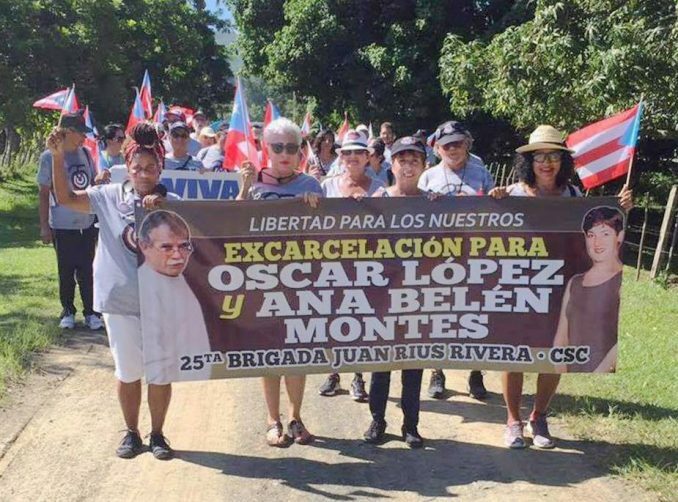 Puerto Rican Juan Rius Rivera Brigade of the Cuba Solidarity Committee during their last trip to Cuba, carrying a banner calling for the release of Oscar Lopez and Ana Belén Montes. Ana Belén Montes is a Puerto Rican woman facing a 25-year prison sentence for passing information to Cuban intelligence agencies. She has already served 15 years in the Psychiatric Unit Detention Center at the Federal Medical Center, Carswell in Fort Worth, Texas. Montes was charged with conspiracy to commit espionage, a penalty generally paid with death. Her defense team was able to reach a “lesser” penalty, which in itself has buried her alive due to extreme conditions of isolation. She cannot receive visits, email or calls or use a computer. There are only a small number of people to whom she has access, including her mother. There is now an extremely urgent situation. Ana was diagnosed with breast cancer and a few days ago underwent a mastectomy, after which she will receive chemotherapy. Given her isolation, the extent of the cancer or even where the surgery was performed is not known. Unknown to many people, this woman is the very image of immense generosity and sacrifice. What was her crime? Here we could repeat that famous quote from Che, the internationalist, who said that “the true revolutionary is guided by great feelings of love … love of humanity, of justice.” It was that deep love of justice which led Ana Belén to prison. In these days, when there is a renewed effort by Cuba and millions of people in solidarity with the Cuban Revolution to end once and for all the criminal U.S. blockade against Cuba, it is imperative to remember the sacrifice this Boricua woman made to benefit millions of Cuban lives. Nothing illustrates this desire for justice more than her statement to the court that condemned her on Oct. 16, 2002: “I engaged in the activity that brought me before you because I obeyed my conscience rather than the law. I believe our government’s policy toward Cuba is cruel and unfair, profoundly unneighborly, and I felt morally obligated to help the island defend itself from our efforts to impose our values and our political system on it. Montes’ work did not pose a risk to the U.S. or its “national security.” On the contrary, it prevented hostile U.S. military operations against Cuba that would have cost thousands of lives, from both Cuba and the U.S. The information Ana Belén passed to Cuba was solely so that nation could defend itself. The work she performed for 16 years was completely voluntary; she was not pressured, nor did she receive — nor accept — a penny for this great sacrifice. It is such a noble example that the U.S. authorities have only been able to describe it as madness, locking her in a psychiatric prison. A book written by none other than Scott Carmichael illustrates her devotion. Carmichael worked at the Defense Intelligence Agency, the same agency where Ana Belén worked as a senior analyst on Cuba. This agency advises the president, the Pentagon and the Joint Chiefs of Staff and has great influence on their actions. Carmichael was a counterintelligence investigator — a “mole hunter” — who was in charge of investigating Ana. In his book, “True Believer,” you can perceive the meticulous work and sacrifice of this brave woman. Although the book’s purpose was not to create sympathy, it is impossible not to feel admiration and respect for her. 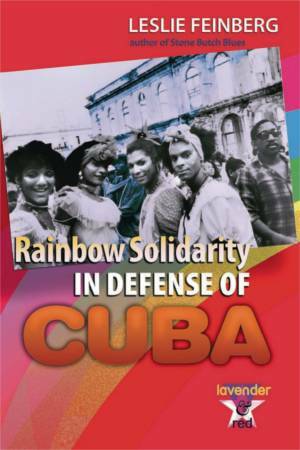 Solidarity with Ana Belén Montes has grown in the last year, with the strongest organizing in Cuba and Puerto Rico. Support has also been expanding internationally, particularly in Brazil, where groups in solidarity with Cuba have picked up the banner of Ana Belén. People supporting her release have written to Obama, like Irish Nobel Prize winner Mairead Maguire and Cuban troubadour Vicente Feliú. There have also been voices of support for her release in the United States, France, Argentina, Chile, Galicia and the Dominican Republic. Progressive U.S. songwriter David Rovics wrote “Song for Ana,” which you can watch at Youtube.com. In Cuba, known personalities such as Silvio Rodríguez have called for her release. Several groups, including CubaXAnaBelénMontes, held a concert last September to commemorate the 15 years she has been in prison. That message echoes the previous one that Ana’s cousin, Miriam Montes Mock, made through the Working Committee for Ana Belén Montes in Puerto Rico: “I ask all my friends to send their messages to President Obama at [email protected], the U.S. Prisons Authority, to Carswell Prison at crw/[email protected], showing your concern for the health of Ana and demand her release, ask for a compassionate release.